BARI - Inter saw off Juventus 1-0 and then beat AC Milan on penalties to win the pre-season TIM Trophy triangular. 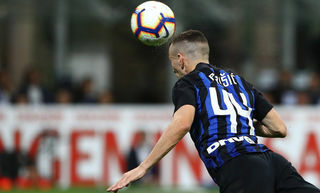 The Nerazzurri lined up against Juventus in the opening match of the evening and outplayed their opponents with Eto'o, Obinna, Pandev, Maicon and Cambiasso all going close before Wesley Sneijder sealed victory on 25 minutes. The World Cup finalist shrugged off Sissoko outside the box before curling an unstoppable shot into the top corner. Diego cancelled out Ronaldinho's goal in the second encounter between Juve and AC Milan, but the Rossoneri won on penalties to set up a trophy-deciding game against their city rivals. 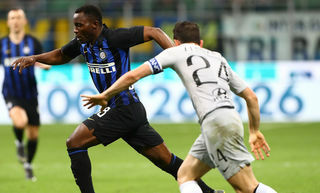 The Milan derby was a closer affair than the previous two 45-minute games. Inzaghi headed against the crossbar in the opening seconds and Castellazzi saved Pirlo's free kick as Allegri's men had the early chances. Abbiati was the busier keeper though, with saves to make from Milito, Mancini and Stankovic before the onset of penalties. Milito and Coutinho converted their spot kicks, while Flamini, Mancini and Inzaghi missed theirs. Oddo and Huntelaar then netted for the Rossoneri and Stankovic missed his, but another miss by Ronaldinho saw Inter win 3-2 on penalties. 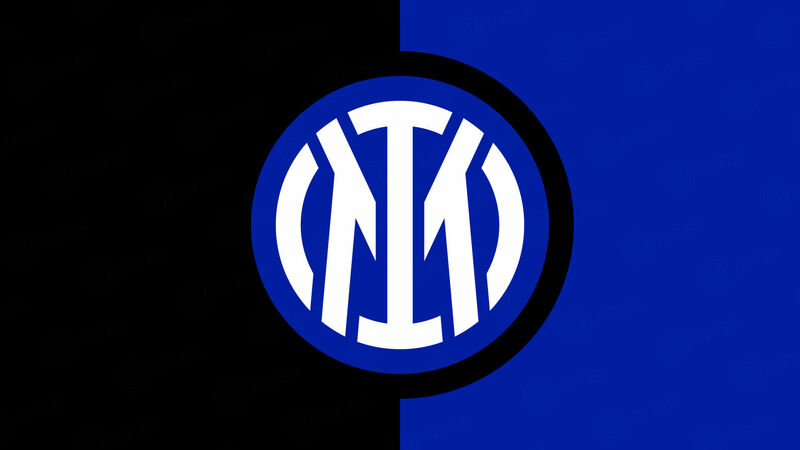 Inter: 1 Julio Cesar, 13 Maicon, 6 Lucio, 23 Materazzi, 26 Chivu; 19 Cambiasso, 40 Nwanwko Obiora; 33 Obinna, 10 Sneijder, 27 Pandev; 9 Eto'o. Subs: 12 Castellazzi, 21 Orlandoni, 2 Cordoba, 25 Samuel, 34 Biraghi, 35 Benedetti, 57 Natalino, 5 Stankovic, 20 Obi, 29 Coutinho, 30 Mancini, 22 Milito, 27 Pandev, 88 Biabiany. Juventus: 13 Manninger; 21 Grygera (2 M.Motta 38), 19 Bonucci, 3 Chiellini, 29 De Ceglie; 23 Pepe, 4 Felipe Melo, 5 Sissoko, 20 Lanzafame; 10 Del Piero, 17 Trezeguet. Penalties: Milito (goal), Flamini (miss), Mancini (miss), Inzaghi (miss), Coutinho (goal), Oddo (goal), Obi (goal), Huntelaar (goal), Stankovic (miss), Ronaldinho (miss). 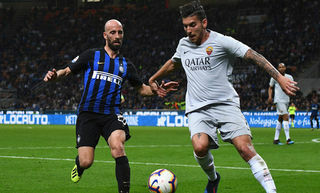 Inter: 12 Castellazzi; 13 Maicon (57 Natalino 17), 2 Cordoba, 23 Materazzi (35 Benedetti 17), 34 Biraghi; 5 Stankovic, 40 Nwankwo (20 Obi 35); 30 Mancini, 29 Coutinho, 88 Biabiany; 22 Milito. Subs: 1 Julio Cesar, 21 Orlandoni, 6 Lucio, 13 Maicon, 25 Samuel, 26 Chivu, 34 Biraghi, 10 Sneijder, 19 Cambiasso, Eto'o, 22 Milito, 27 Pandev, 33 Obinna. 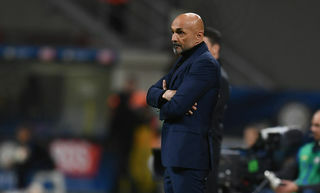 AC Milan: Abbiati; Oddo, Bonera (Papastathopoulos 30), Yepes, Zambrotta; Ambrosini (Strasser 26), Pirlo (Novinic 30), Flamini; Merkel (Ronaldinho 35); Inzaghi, Huntelaar. Sneijder: "It's always good to score"